Are people who are not Christians going to hell? 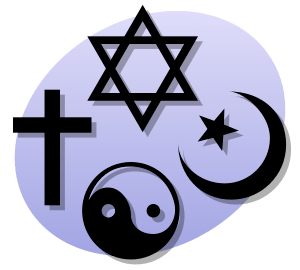 Is there truth in non-Christian religions? Can Christians learn something valuable about their own faith from non-Christian religions? These questions concern at least those Christians who are orthodox with a small “o,” those who believe the doctrines of the Incarnation of God in Christ as fully God, fully man, and who believe that his life, death, and resurrection brings hope of eternal life and freedom from sin. Many Christian Fundamentalists and even some Evangelicals believe that non-Christians are going to hell. Forget euphemisms such as “they are lost;” let this believe stand out in its full starkness. As a child in the Churches of Christ, I attended a “gospel meeting” in which a preacher said if non-Christians are not lost, why send missionaries to convert them. This was sloppy argumentation on his part, and I believe the Fundamentalists to be incorrect. As far as Christians learning from other religions, why not? God can spread His revelation to whom He wills, and other religions may contain partial truths without containing the fullness of Christian faith. As St. Thomas Aquinas said, multis gentilium facta fuit revelatio, “to many nations revelation has been made.” From the Hindus Christians can learn more about the immanence of God (without accepting pantheism). From the Buddhists Christians can learn about letting go of desires that get in the way of God (without accepting the atheism of Theravada Buddhism). From Taoism Christians can enrich their sense of the unity and mystery of God (again without accepting pantheism). From some Native American religions Christians can gain a sense of God’s closeness to the natural world and that His love extends to plants and animals, not just man–and one could go on. Christianity, I believe is ultimately true–not just true for me, but true for everyone at all times. But as a Christian, I can still learn about my faith from studying other religions–and I can admit that Christ can save whom He wills, including non-Christians of good will and who accept God’s grace–which may be something that occurs postmortem. Finally, Christians should present the gospel as the good news of what Christ has done for mankind and not just a means for avoiding hell.